Last week I talked about when to hire a wedding planner, now I am going to give you my top 10 reasons to work with an experienced wedding planner and how it can make your wedding planning experience amazing! Yes, your friends and family are excited about your coming wedding, but they are not living and breathing it the way you are. They may not want to hear about every little detail you think of, and they might not get as excited as you about the cute little center piece you found, or the fact that you are maybe thinking of changing your colors, or your cake flavor, or your vows…your wedding planner will want to hear everything! In fact, she’ll be giving you some great ideas to mull over too. So you don’t want kids at the reception? Second marriage? Divorced parents? Vendor tipping? Invitation wording (is an email RSVP OK?) Is a cash bar tacky? When to send thank you notes? OK, you get it, the list goes on and on. There are so many etiquette questions, it’s nice to have someone to guide you through the process ensuring that you won’t make a major blunder! 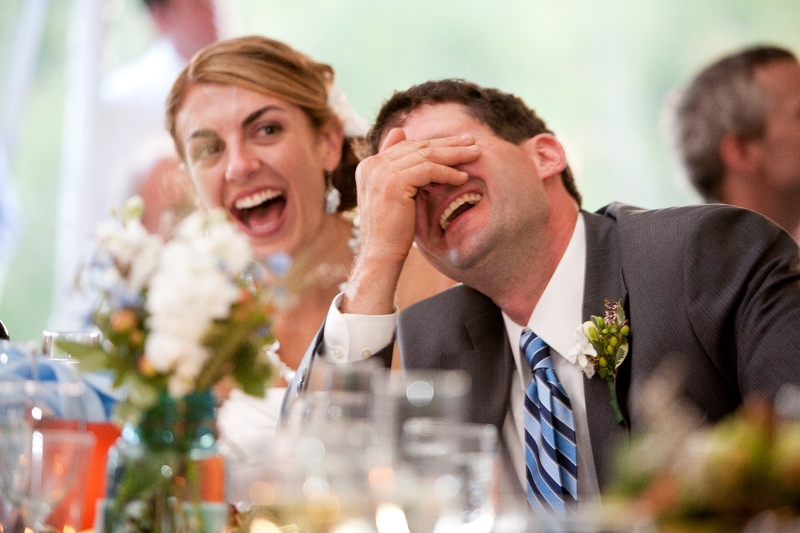 Weddings involve a lot of emotion and it’s easy to get caught up in drama that can go along with any wedding. A good wedding planner is there to help you keep it real. They are an unbiased party whose goal is to help you get down the aisle with as little stress as possible. She’ll base her advice to you on years of experience and countless weddings, rather than emotion and sometimes this is exactly what you’ll need to hear to keep you grounded. 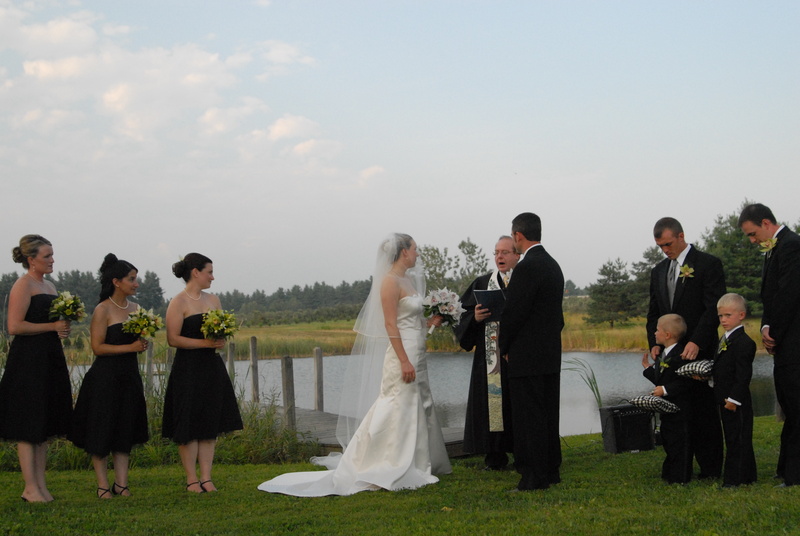 A good wedding planner has been working with the area vendors for a long time. She’ll know the best fit for your wants/needs, vision and budget. She’ll recommend the vendor that will be a good fit for your particular event. She’ll know the work ethic and quality of the product or service offered by a particular vendor and can steer you in the right direction. Some preferred vendors may offer discounts or added value for brides working with her, which will help reduce your overall budget. This being said, always ask your potential wedding planner if she takes kickbacks (payments from vendors to bring them business). This is a shaky ethical practice, your wedding planner should be passing discounts along to you and ensuring you have the best fit for your wedding, not the biggest kickback. So you enjoy picking out flowers and coming up with your color scheme. You’re having a great time finding your gown and talking with the photographer about what shots you really want. But finding hotels for your guests and getting the RSVP’s are not so much fun? Figuring out the timeline is boggling your mind? Most wedding planners offer a custom package where you can do the parts you enjoy and hand the rest off. Sound like a dream come true…well it is! Your dream wedding come true. I would never say we’ve seen it all, that’s just asking for trouble, but we’ve seen a lot! Every wedding is unique but there is potential for many of the same issues at each event but a good wedding planner will recognize them and act upon her experience to avoid them. This is probably your first time planning a wedding (assuming it’s your first wedding, and if it’s not you probably don’t want a mirror image of your last one…) and your wedding planner has worked with countless couples to bring their wedding vision to life, so trust her. She’s there for you, to make your wedding special so she will use that experience to help guide you and give you ideas. And avoid the pitfalls! I’ve seen estimates that weddings can take 250 hours to plan! That’s a lot of time. Time, if you are like most people, is something of a commodity and a rare one at that. One of the biggest time vacuums is researching the vendors. You will get great vendor recommendations and even quotes from your wedding planner. You can also have her do other time-consuming tasks like addressing envelopes, keep track of the RSVP’s, follow-up with those you haven’t heard from-and that’s just on the invitations! Imagine taking every task involved with the wedding and streamlining the process to take out the wasted hours. It would make the whole thing much more enjoyable! So you’ve made a lot of the plans and along the way these plans included many statements like “well I could just…” or “it would be easy to…” or “my friend can…” but now that the big day is coming up, you are realizing that somebody has to pull all of these DIY elements together. If you haven’t hired wedding pros to do things like the centerpiece or the decorating then it’s up to you. Is this what you want to be doing the morning of your wedding? Setting up tables?A trend I am seeing right now is to have a friend or family member officiate the wedding. Getting ordained online or becoming a JP doesn’t include a how to guidebook for actually running a wedding so you’ll need someone to help guide your wedding party through the ceremony. This was discussed in an earlier post, but it warrants repeating. Hiring a wedding planner early on in the planning process is the easiest way to keep you on budget. They will recommend the best venue and wedding pros to bring your dream wedding to reality, while staying on the budget of your reality. At the initial consultation you should leave feeling like you have a good idea of how much you’ll need for your wedding. She’ll help you to prioritize your budget and help you to make choices to ensure you stay within your budget. She’ll have an overall picture of where you are in terms of expenses already made, and what you still have coming up. It’s often the small hidden costs that can add up, and if you aren’t taking them into account then it can be a real budget buster. Wedding planning firms often negotiate preferred rates for their clients with vendors that they bring repeat business to. This savings is passed along to the client and can result in significant savings allowing you to stretch your budget a bit further. The number one reason I am told by couples that they decided to hire Memorable Events is just an overall reduction in the stress! All of the above reasons add up to stress. By working with a wedding planner the wedding planning process will be an enjoyable one and will allow you to appreciate the time you have together as an engaged couple. Even if you are the type of couple that enjoy the planning process, the weekend of your wedding is going to be a time that you will want to enjoy your friends and family. You aren’t going to want to be bombarded with questions about the timeline or have issues brought to your attention. You aren’t going to want your family to have to take on that role either. Many people who have done the planning themselves decide they want someone to help out for the day of coordination. This frees them up to be a “guest” at their own wedding, rather than having all of the hosting duties. Please consider calling or emailing Memorable Events for a free consultation to find out how we can help you with any or all of the above reasons! Anne and Bayard a wonderful couple I worked last summer. When is the right time to hire a wedding planner? I am not saying that a wedding planner should be your first call after you get engaged…call your friends and family first! However, the earlier on in your planning process you contact a wedding planner the better off you will be. The first critical step in planning your wedding is going to be setting up your budget. Most wedding planners offer a complimentary consultation and budget is often one of the things discussed. At that first meeting, you’ll get a good idea of how much your wedding will cost and how to prioritize your budget to include all of the “hidden” costs. A great wedding planner will help you stick to it. Working with a wedding planner from the beginning can help avoid some pitfalls and can help couples really avoid a lot of stress and wasted time. We will make sure you have the appropriate wedding professional to help fit your budget and vision. That being said, it’s never a wrong time to start working with a wedding planner. At Memorable Events, we have worked with couples as far as 18 months in advance, to as little as three weeks prior to the event. Often couples will start the planning process on their own and have some basic plans laid out but come to realize that they could use some help finalizing the details. DIY brides often find themselves feeling a bit overwhelmed as the big day comes closer and they realize there needs to be someone to pull all of these elements together as well as oversee the day. So from just getting the engagement ring to just about to say I do, the best time to hire a wedding planner is now! Stay tuned for the top 10 reasons to hire a wedding planner over the next few days. I am often asked to differentiate between the services that Memorable Events provides and what the banquet or catering manager provides. This article is intended to help clarify the typical differences in the two roles. It is not intended to be all-inclusive, but a good overview. Most wedding planners offer different planning packages based on your needs. With Memorable Events, full planning often starts prior to the couple selecting a venue or any of the other wedding professionals they will need to bring their dream wedding to reality. The first thing we do is sit down with you and figure out your budget. We will work with you to help ensure you stay within the budget and find the best wedding pros to fit your specific needs. We are, therefore, going to suggest venues that fit within that spectrum and not try to sell you on something that is beyond the scope of your budget or doesn’t fit with your vision. Essentially the biggest difference is that a wedding planner works for you and a banquet or venue manager is there to sell you on their specific venue. Again, these lists are just meant as a comparison and not all-inclusive lists. Hopefully this will help clear up some of the confusion. Happy planning! Just a brief introduction to Memorable Events. For the past seven years I have been planning wonderful New England Weddings, mostly in NH but have worked over much of New England. From ski resorts to orchards, private residents to hotels and banquet halls, Memorable Events has helped couples in nearly all style of venues bring their dream wedding to reality; along the way meeting some wonderful people and making great friends. My involvement in weddings began at a young age. Growing up in the restaurant and catering business and also being a DJ for eight years, it was a pretty natural progression for me to take that experience and combine it with my creativity and organizational skills to become a wedding planner. After becoming certified as a Professional Bridal Consultant; I first honed my skills on a family member’s wedding and my fire was lit. The rest, as they say, is history. I have worked with countless couples from a variety of religions, background and ethnicities to create Memorable Events for each one of them!